Winter is here and you know what that means. It’s cold and flu season. While winter can be one of the most beautiful seasons of the year, there’s no getting around the fact that it can cause a lot of pain too. Your body becomes more susceptible to colds and flus, which is never a good thing. Who wants to spend their days bunged up with a cold that leaves them feeling drained and demoralised? We’re often told that there’s no cure for the flu or the common cold. And that may be true. But there is something that you can use to get rid of these diseases almost as soon as they appear. Okay, so we’re hardly introducing Black Seed Oil here. But what we are going to do is tell you about some of the amazing effects that it has on your body that help you to guard against the flu or fight it if you happen to catch it. Black Seed Oil isn’t just an anti-inflammatory. 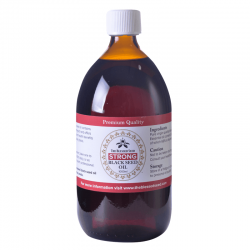 It’s an immune system booster that makes your body more capable of fighting off infectious diseases. 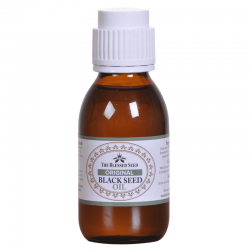 To put it simply, Black Seed Oil boost the number of white blood cells in your body. These are the little soldiers that are going to seek out and destroy and bacteria, viruses, or other foreign substances that make you feel ill.
More white blood cells in your body mean a stronger immune reaction to the virus that causes flu. Depending on the strength of your immune response, you may even be able to get rid of the flu before it manages to manifest. 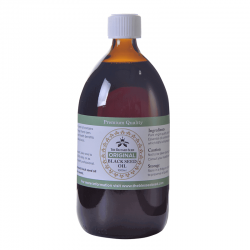 But even if you’re in the grips of a winter flu right now, Black Seed Oil can still help. Taking it regularly gives your immune system a boost at a time when it really needs all of the help that it can get. You’re basically sending in reinforcements every time you take Black Seed Oil when you have the flu. That’s going to help you to overcome the condition even quicker. It’s the antioxidants that the oil contains that give it the immune system boosting properties that make it so effective against winter colds and flu. But there’s another trick up its sleeve that you’ll want to find out about. We all know that colds and flus lead to sinus problems. You get that nasty inflammation that makes it genuinely challenging to breathe at times. And that’s not talking about the congestion or runny nose that can come with a sinus issue. Black Seed Oil can help again here. This time, it’s all about the oils ability to combat inflammation. You give your immune system the boost it needs to fight the virus. You’re tackling the symptoms that make you feel so awful. All that’s left is to get your hands on some. 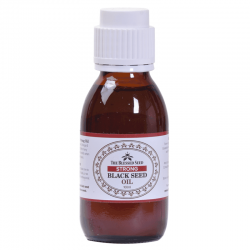 The Blessed Seed offers the strongest Black Seed Oil on the market in our online store. Buy it today to help you get through the winter in good health.